Mt. Everest is not just a pride for Nepalese people, but also the tallest peak in the world. Is there any lack than the heaven itself when we are talking about Mt. Everest? Sir Edmund Hillary and Tenzing Norgey were the first climbers of Mt. Everest in the entire world. If it was an easy task to climb over Mt. Everest, everyone would have done so. You need to be courageous to complete this daunting mission. Nepalese talk proudly of the Mt. Everest while thousands from across the world come here to see it with their own eyes. It is a pride in itself to get an opportunity to visit such place. It is natural for anyone to imagine climbing the tallest peak in the world, Sherpas are known to be the people who climb Mt. Everest. 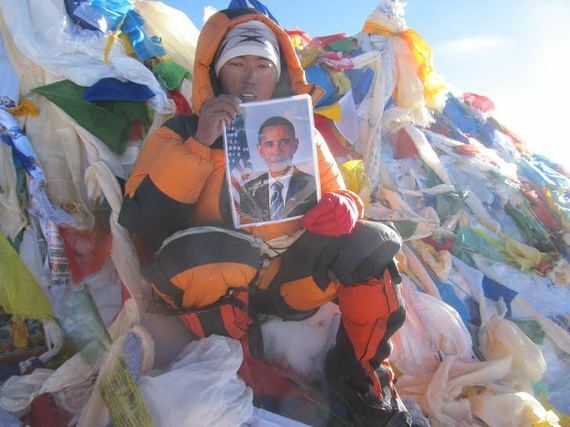 Sherpas are heroes of Mt. Everest. Many folks might be thinking "what is the cost of climbing the peak? How to climb? 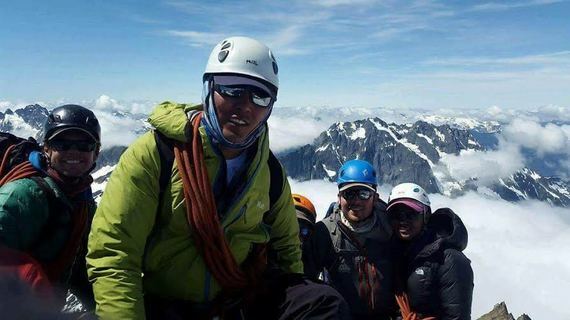 Ang Gyaljen Sherpa is among those who have successfully scaled the peak for 3 times and has personally gained tremendous experience about it. He says he has been playing with the snow since his childhood. He has an experience of saving many lives while taking people to the peak. He is a leader when it comes to climbing Mt. Everest. Anybody who is climbing with him feels very safe. He reiterates that his experiences have increased confidence in him. How much does it cost to reach the peak? Where to begin the journey? It is natural for people to come up with these questions. 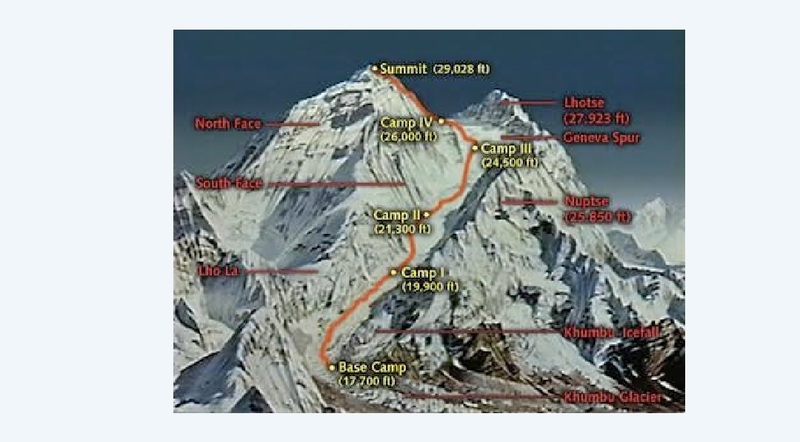 It costs $25000 to $40000 for Nepalese people while $25000 to $80000 for tourists interested in climbing the peak. All the facilities are included in this amount. Expensive cost means an opportunity to visit other tourist destinations too. Expenses include domestic airlines, lodging and food facilities. However, the climber himself must make arrangements for the jacket and other equipment. It is far easier these days to climb the Everest because rescue teams are available. Besides, two helicopters and doctors are always available at the base camp. In case something happens, everyone has a walkie-talkie in their hands to communicate. Moreover, every climber has a Sherpa Guide with him. Nepalese can even have life insurance services. If some foreign tourist dies, all the services are provided by the respective embassy. This is the very reason why appropriate season is chosen for Mt. Everest expedition. During Spring, season is opened twice. Parties are separated into groups for the expedition. Small group consists of 10-15 people, whereas bigger groups consist of 60-65 people. 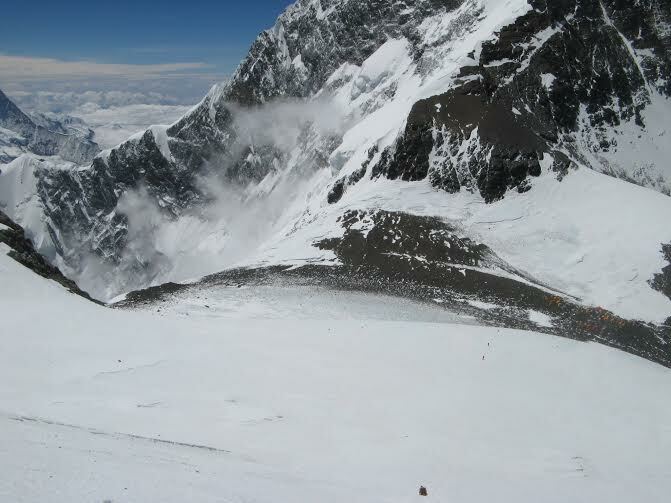 During the climbing season, pollution of Everest increases. Even the government is very much concerned about this problem. The Government has set down the rules that people can't do whatever they want to over there. Big accidents are frequent occurrences in Sagarmatha. Several dead bodies are found when the snow melts during April and May season. Permission of Nepal Tourism Board is necessary in order to climb the Everest. Sagarmatha is at 8848 km above the sea level. There are three camps, 1, 2 and 3. Base camp is at the height of 5400 km. The most dangerous spot is the Khumbila Falls, located at the Camp 1. After the camp comes, the South Pole and then, the Mt. Everest. Huge wide spots are available at the South Pole. If something happens to some person, the helicopter goes up to the second base camp. Helicopter doesn't go beyond that point. 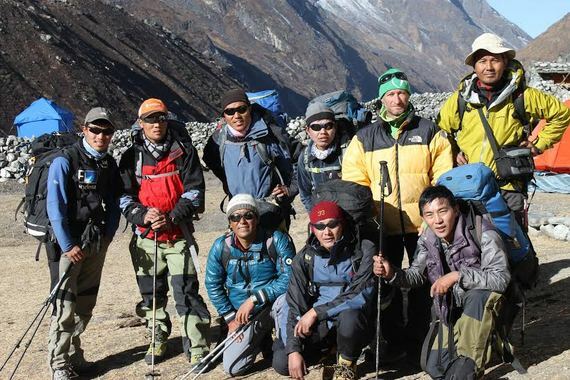 Group a person belongs to while on the Sagarmatha expedition is always ready to do whatever possible. Nobody lets another die. 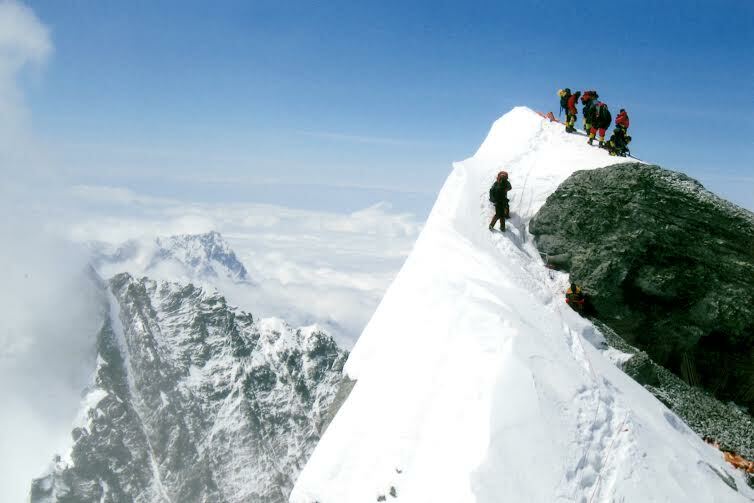 Before climbing over Sagarmatha, it takes few moments to adjust with its atmosphere. After that one can begin his expedition. 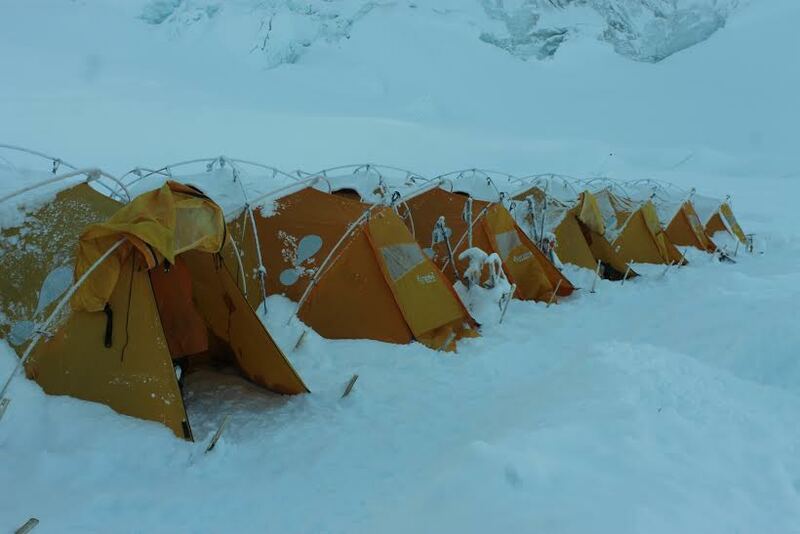 Most of the expedition begins at 6 am in the morning and reach the base camp within 3 hours. They move for another base camp as soon as they feel adjusted with the weather there. Many begin expedition for another base camp after sleeping over there that night or next week only. One must be mentally prepared and should have knowledge of the basic climbing skills. Ang Gyaljen Sherpa answers the question, "What do people do when they reach the Mt.Everest peak?" Most of the people cry. For most of the people, it is the happiest moment of their lives. They begin taking pictures. From the peak, Nepal's mountains can be seen. Sagarmatha can be climbed both from Tibet and Nepal. Tibet's city area's lights can also be seen from the peak. Some talk to their families via Walkie-talkie. Everyone carries 2 headlights and 2 gloves. Temperature there is so cold that skin falls down when it comes in contact with the air there. It takes 2 months to get to Mt. Everest from Kathmandu for the expedition. Change in atmosphere is also very dangerous. There's a huge chance of accident if the decision of the guide goes wrong. Special attention must be given for hypothermia. Papers are signed for who'd receive one's wealth in case of death before one begins the expedition. After successful scaling of the summit, one must return before 12 pm. After 12 pm, strong avalanches begin to blow. It is harder to return than to climb. At the south pole if something happens to somebody, it is very hard to do something about it because helicopter doesn't go that far. It is a matter of pride to climb the Everest. It's like conquering the world. After successful scaling of the Everest, people celebrate with their family members. Mt. Everest is a heaven in itself because the happiness one gets there can't be found anywhere else. So, you must make an attempt at least once in your life and register your name among the winners. This world is only for the winners.